Parenting is hard work. One thing that can help to make it a little easier to raise emotionally healthy children is to teach them to express their feelings. The trouble is many parents were not raised by families who exemplified this type of behavior. How can parents promote healthy communication of feelings if they did not learn it themselves? One way to teach yourself and your kids to process emotions is to educate yourself first. Brain research shows that telling ourselves we want to stop doing something ,is not enough. Desire to change must be accompanied by learning the skills necessary to actually behave differently. The Whole Brain Child- by Dr. Dan Seigel & Tina Bryson, is a great text for educating parents. How we treat kids socially and emotionally can impact them positively or negatively. Use the time when a child misbehaves as a teachable moment. Children learn by example. How do you handle yourself when you are upset or discouraged? Start to notice your thoughts and actions. If there is an issue, take the time to work it out. If you are unable to do it yourself, seek the help of a professional. Dr. Seigel suggests showing your child how the brain works so they can then begin to understand what is happening when they get upset. He also teaches a concept called “mindsight” that parents can also use on themselves. This concept creates a visual image of your thoughts and helps you to recognize if you are stuck on any certain area. If you are stuck, he also gives a basic explanation as to how you can refocus your thoughts to become unstuck. (For a cool visual aid using cauliflower, ginger root, toothpicks and two olives, go to www.crossroads.net/media for 01/06/19). Another helpful book is The Optimistic Child– Dr. Martin E.P. Seligman, who is the go to person of the Positive Psychology Movement. It can be easy to always point out when your child is doing wrong. Pointing out their positive behaviors is much more effective in reinforcing change. Research shows behavior that is rewarded is likely to repeat itself. Try not to be general in your recognition. Be specific as to what they are doing that is good. Some parents feel a need to protect their child from the pain that can come from failure. Yet when you teach your children to embrace reality, you show them how to shape their perspective about what happens. Be authentic. False praise may lead to pessimism as children may perceive the insincerity of their parents. Maybe your child did not do well in their little league game. Instead of telling them a general ‘Atta, girl” statement, you can point out how they used their strengths. Later, if they seem open to it, you can ask if they would like to practice with you in the yard or park. 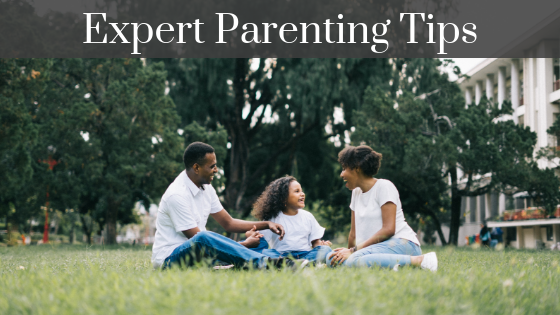 Parenting is an exciting never-ending educational journey for yourself and your children. If you’re looking for more parent or mental well-being help be sure to check out our resources page.